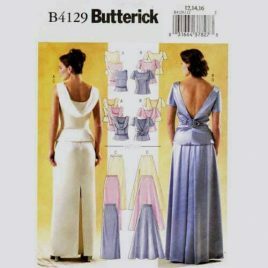 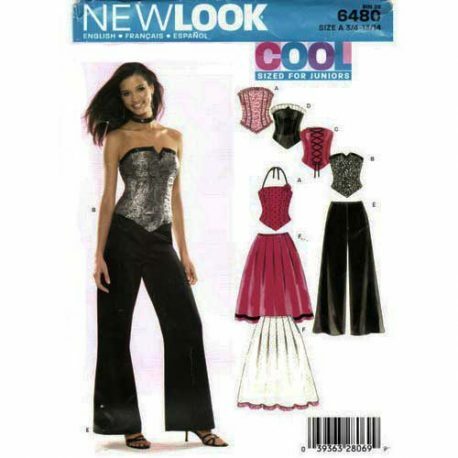 New Look 6480 Corset top skirt and pants pattern in sizes 3/4 – 13/14. 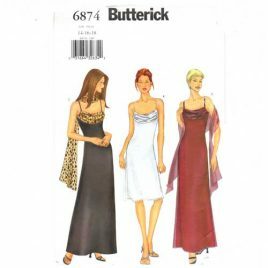 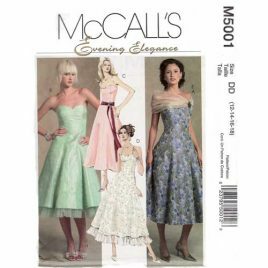 Suggested fabrics: Crepe back satin, crepe de chine, jacquards, brocade, satin, shantung, taffeta and velvet. 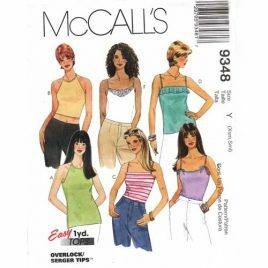 McCalls 9348 Misses tank tops for stretch knits only sizes x-small to small.